Edwin’s Place with INTUS Arcade triple pane steel reinforced polymer windows. “The design features a robust, yet economical structural system of precast hollow-core floor planks and reinforced concrete block walls; continuously insulated walls; triple-glazed windows; a green roof of light color to help absorb storm water, filter air pollutants, and reduce heat absorption – all contributing to efficient energy use and reduced environmental impact. 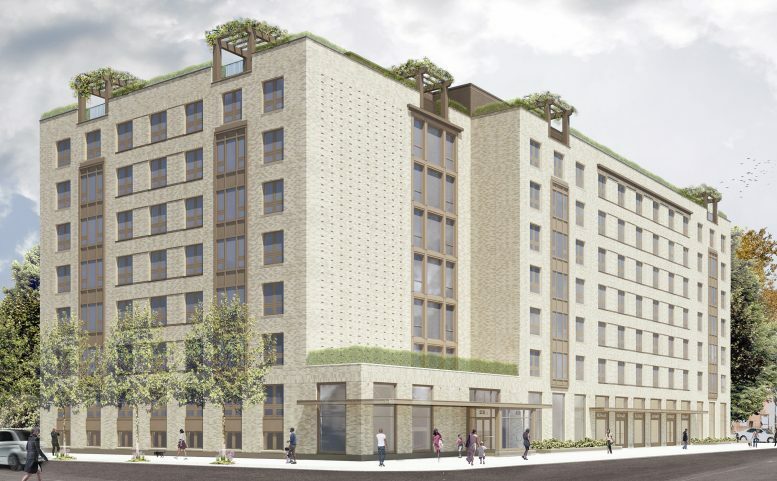 Edwin’s Place was designed by Robert A.M. Stern Architects, and is expected to meet Enterprise Green Communities standards.” – The New York Housing Conference.